In one of the most beautiful winter sports regions of Germany. When the snow has melted it is time to enjoy mountain biking and hiking! Just a few hours drive away. Discover the renewed cottages with modern and cozy furnishings for real relaxation on holiday. Take advantage of the hotel services in the renovated hotel rooms. You can choose between a suite, a classic or a disabled-friendly hotel room. 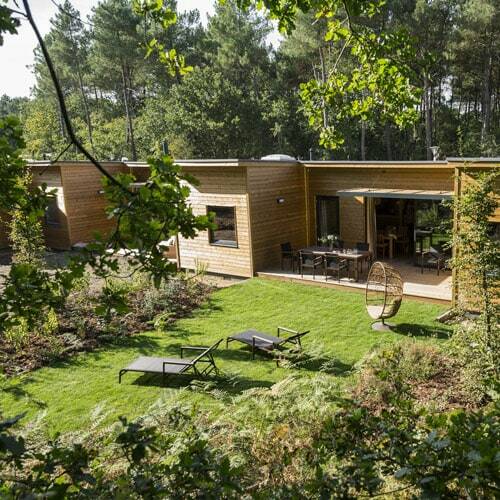 Looking out over the hilly landscape together, in accommodation for 2 to 12 people. 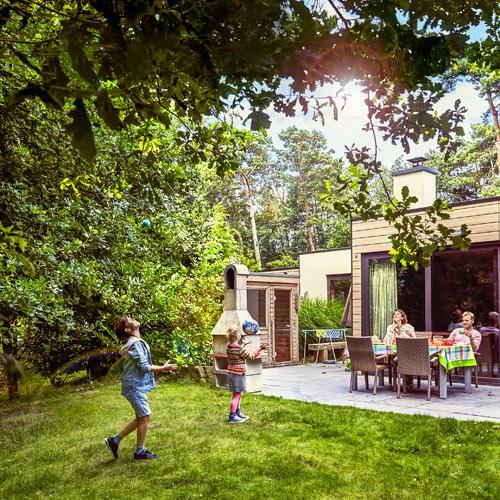 Choose between Comfort, Premium, VIP and Children's cottages, or a specially adapted disabled access cottage. Or do you prefer to be pampered in a hotel room? The hills are ideal for winter sports, and for hiking and mountain biking. 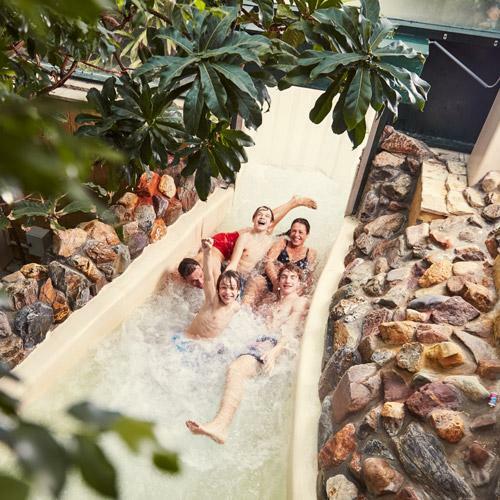 Your kids will have hours of fun in Europe's longest playground and the subtropical swimming paradise (and you too). And in the football school, little Messis will learn all sorts of tips and tricks. Enjoy grills, Italian cuisine, the endless buffet or a quick snack in our 6 restaurants under the palm trees. Do you prefer eating in your cottage? Then do your shopping in our grocery store, or have a pizza or breakfast delivered!